Before you start building out your own membership site, it’s important to understand a few pertinent factors that will greatly improve your chances of success. In today’s “15-Minute Sprint“, I explained some concepts about the Membership Site Business that we’ll be creating in this Bizathon. 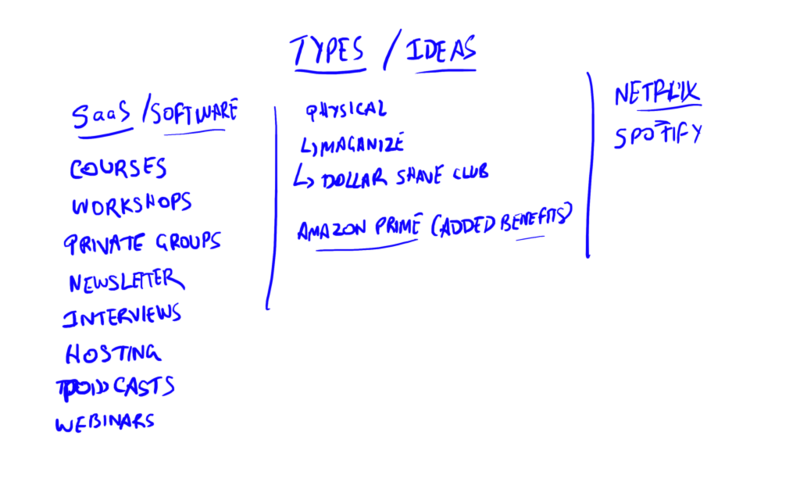 Then I planned out the major building blocks of the business. Finally – I installed WordPress, a theme, and a funnel plugin on our new membership site. In this Bizathon, we’ll be creating a DIGITAL product membership site and there are a few reasons WHY membership sites are a brilliant business model. Community: You get to create a bunch of committed and charged individuals all fighting towards the same goal. Whether it’s weight loss, or better golfing, or entrepreneurship. Recurring Revenue: Monthly payments from members doesn’t hurt now, does it? Peace of Mind: Knowing that you will get an X amount of revenue through your membership site next month gives you a peace of mind and you can make wiser investments. List Building: As you will soon realize, we’re not just building a membership site – but we’ll also end up building an email list of hot leads. We’ll be literally taking many of the concepts we covered in the first Bizathon and using them to build a responsive email list over the next 30 days. Make sure you go over this section in the video because I showcase different types of membership sites in the real world. Generally speaking, they are EVERYWHERE. In the physical world realm, you have magazine subscriptions and monthly physical products like Dollar Shave Club (shaving kits). And all Amazon Prime does is provide you with added benefits on top of your Amazon account. But because it’s a steal at their price point – they have MILLIONS of members. In the more popular context, sites like Netflix and Spotify are membership sites for movies and music respectively. 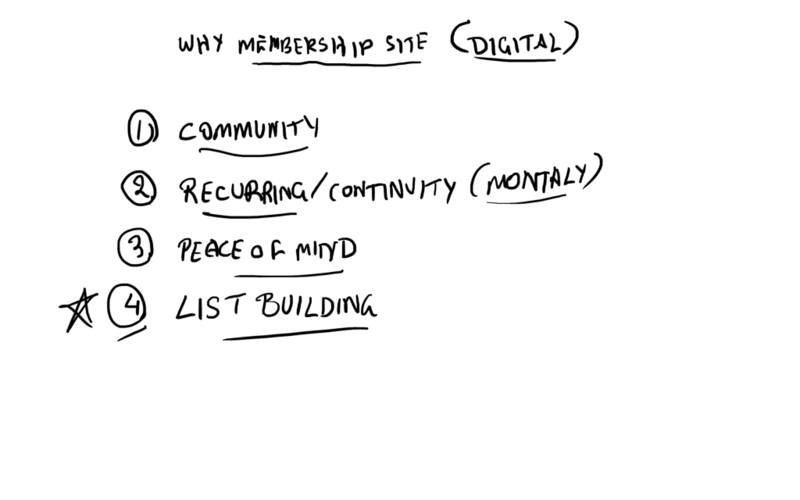 In the digital publishing world however, here are some ideas for your own membership site. Remember, all the ideas mentioned above are proven and being implemented by many different companies in many different niches. And there’s ALWAYS room for one more – YOURS! And the best part is – you don’t need to be an EXPERT in a field to launch a membership site in that niche. If you’re good at communicating with people, then just reel in experts in your niche, interview them, and create a membership site with weekly/monthly interviews with experts. I can bet people want to pay money to watch their idols being interviewed. Another example is if you’re able to create a community that’s self serving. Meaning members helping other members. All you’re doing is FACILITATING the members area and charging for it. The content is being created by the members themselves. The list goes on and on… Feeling excited? You betcha! There are a few reasons why I wanted to launch a membership site. I received many requests from the LIVE CHAT audience in the previous bizathon to create a place where the active Bizathoners could interact. I have made a public goal of training and empowering 300,00 entrepreneurs. A membership site will definitely help speed up the reach. I want to create a safe place where members help each other out in growing their businesses. I want to create a COMMUNITY of people who are action-takers and are willing to work hard in building up their businesses. I also want to create an INNER CIRCLE of people with whom I share my guarded secrets and the latest and greatest tips/tricks. I’m good at building little software tools that help in my business. I want to give my members access to those tools. A membership site will 100% help other people like you build and scale their businesses faster. Let’s get into the building blocks of a membership site business. We’ll be briefly covering the basic foundational elements today – and in future sessions, we will get into more detail of each block. Product/Site – This is your core product or service being offered in the membership site. It can be a combination of several elements or it can just be a community – you choose. Membership Funnel – The #1 MOST important block of the entire business and amazingly – this is where most people falter. Most people work their hardest on building the product. We’ll do the exact opposite. For us, the FUNNEL is more important than the PRODUCT and you’ll soon realize why. Payments – You can use Stripe, Paypal, 2Checkout, Braintree etc. But we’ll be using Clickbank because its a trusted platform and gives us the ability to instantly open up a new source of traffic – affiliates. Don’t worry though – we won’t use affiliate traffic for this Challenge. Traffic – We’ll be covering 4 avenues of traffic for this Challenge. FB Ads, Email Lists, Solo Ads, and the FlyingStartOnline brand. It’s not that difficult right? Wait for it – because things can get tricky especially if you’ve never built a product funnel before. But I ASSURE you – if you take it ONE step at a time, your business will be BUILT! So promise me to not get overwhelmed and FOLLOW along with me one step at a time and build your own membership site business with me. Because I believe in DOers – the ones who take action and make things happen. So I’m building a community of people like you who’re actively invested in building their online business. I’ll be building it on the FlyingStartOnline brand. In the 15-Minute Sprint, I installed WordPress on doer.flyingstartonline.com <- this will be the URL of our membership site. Then I quickly installed the FunnelForMe plugin which we’ll be using to build our actual FUNNEL PAGES. After that I installed the same theme that I use on this FSO site. Tomorrow, we’ll discuss the Membership Site Funnel. 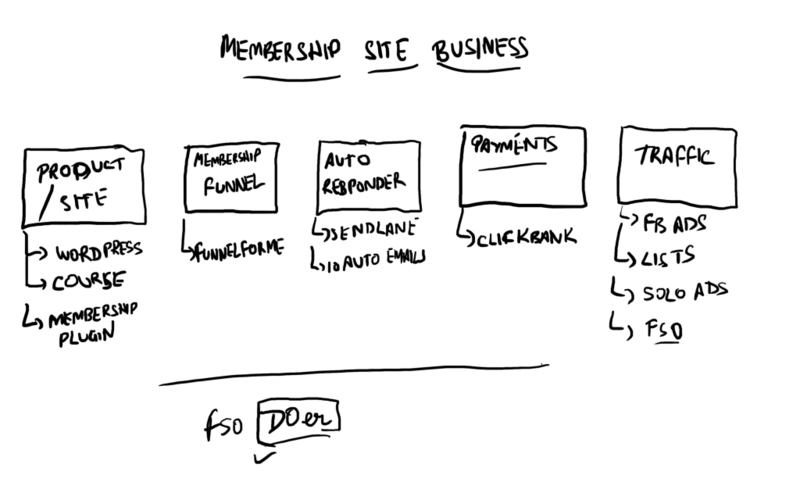 « 30-Day #Bizathon2 Challenge: Build A Membership Site From Scratch!